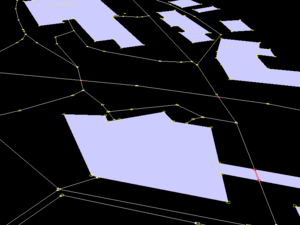 Tile-based orthographic rendering as available at maps.osm2world.org. 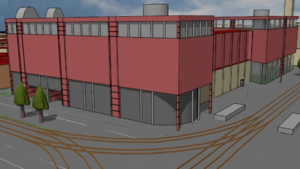 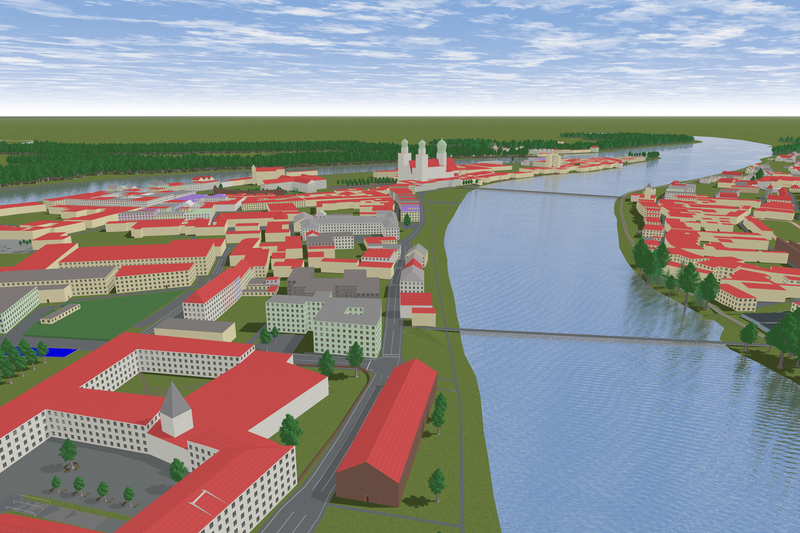 An impression from MagBen's artistic videos showcasing 3D OpenStreetMap scenes, created using OSM2World and Blender. 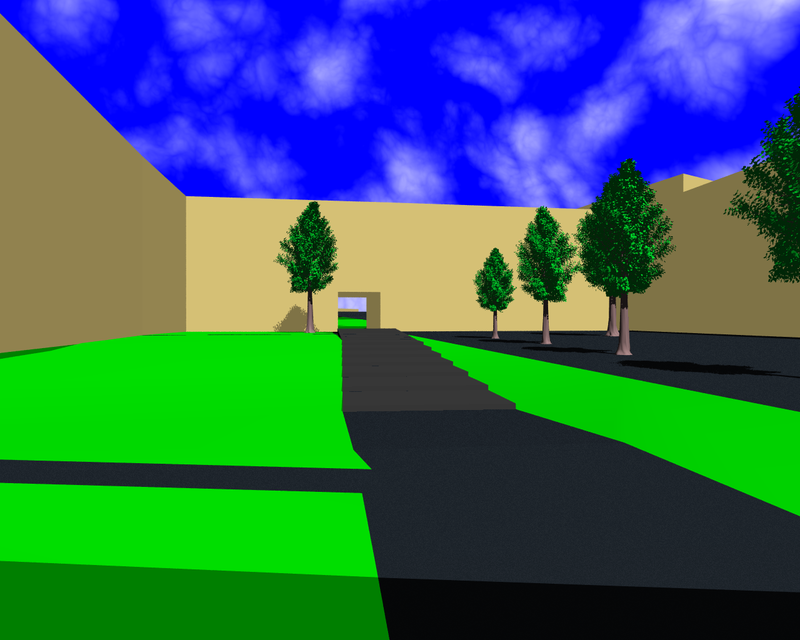 A racetrack for Super Tux Kart created with OSM2World. 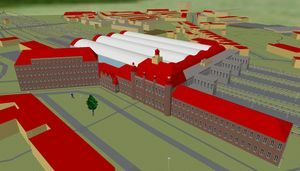 Lübeck main station, modelled by a local mapper and rendered by OSM2World. POVRay rendering of Passau as seen from the Inn river. 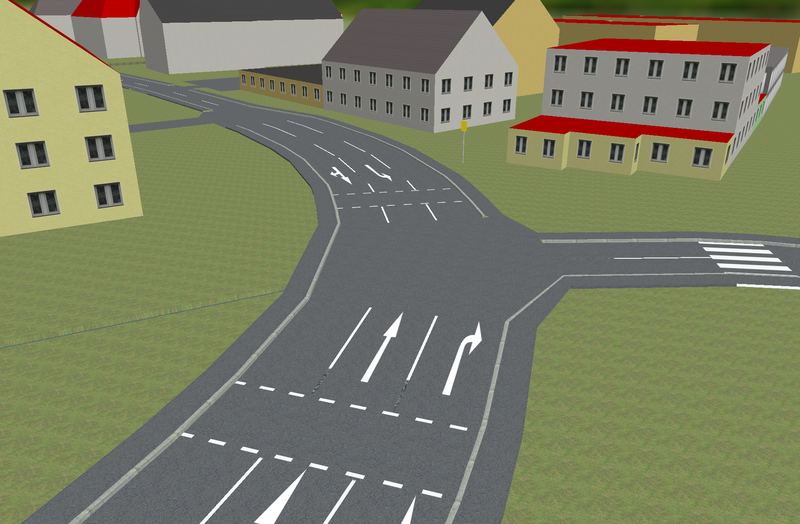 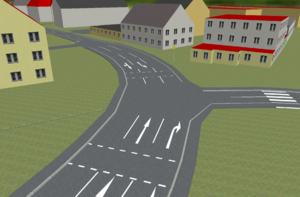 Road marking demo rendering by OSM2World. Window reflection demo rendering made with OSM2World and POVRay. POVRay rendering of a forest track. 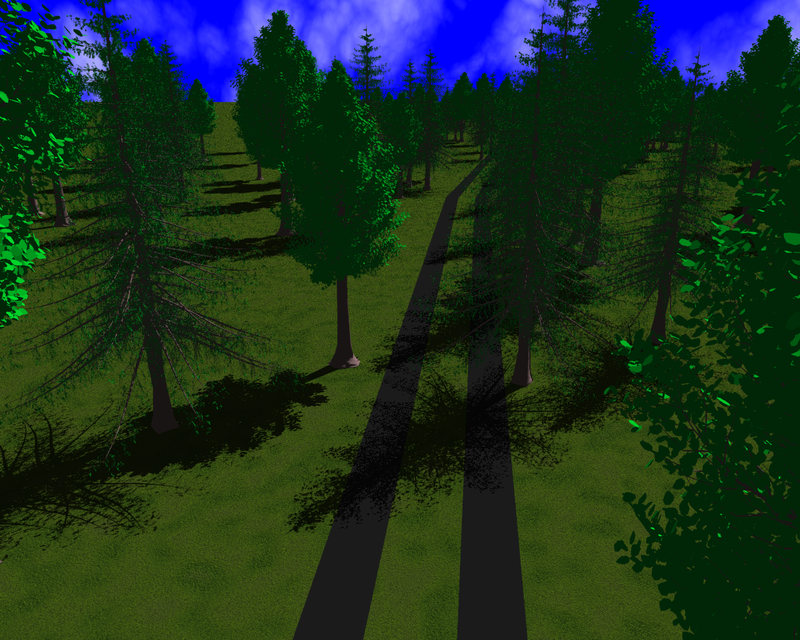 Early experiments with a transparent chain-link fence texture in OpenGL. 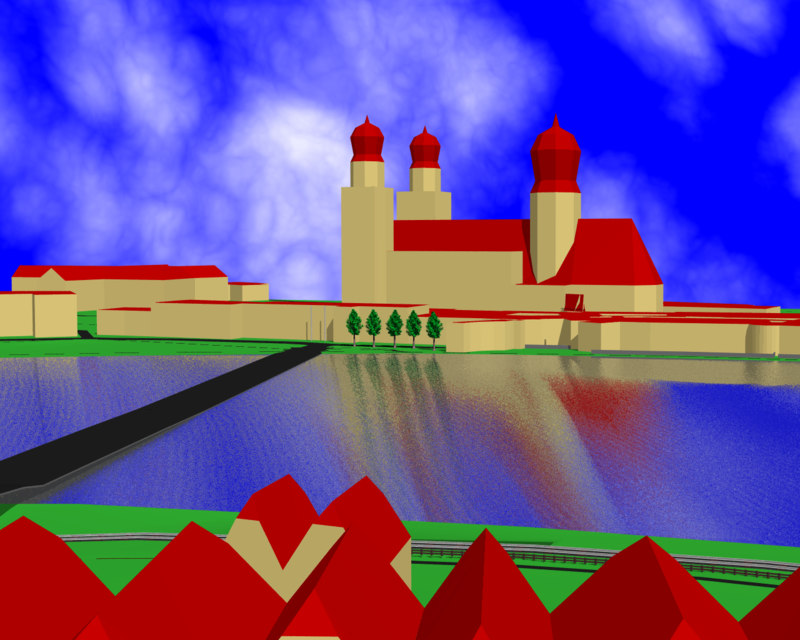 OSM "Image of the week" from November 2011, featuring St. Stephan's Cathedral. Motorway junction near Stuttgart, Germany. 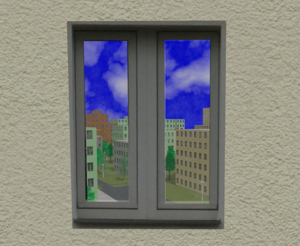 Rendered by POVRay. 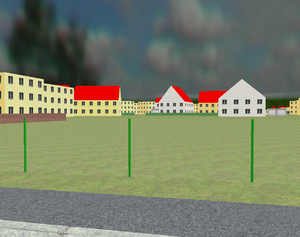 Inner yard of a building in Passau. Rendered by POVRay. 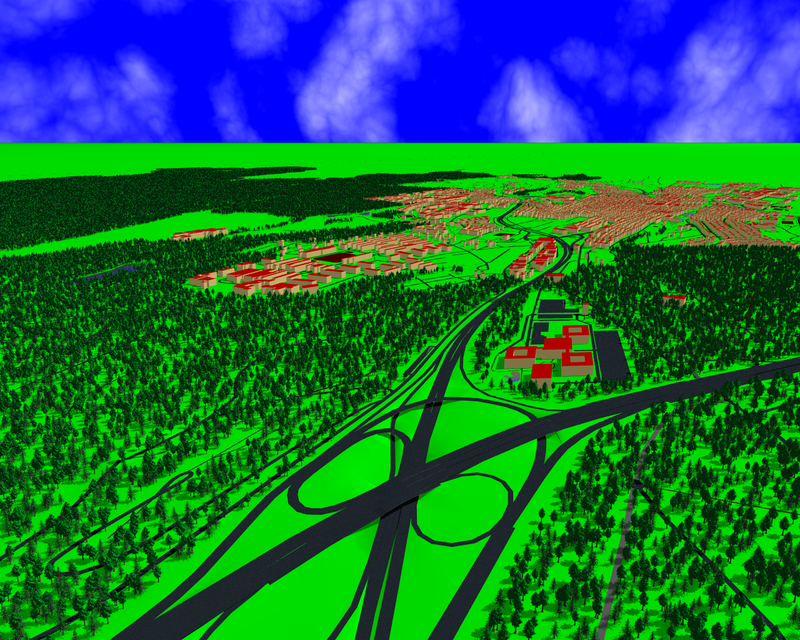 Terrain debug view in OSM2World's viewer, visualizing outlines of non-trivial terrain tiles. 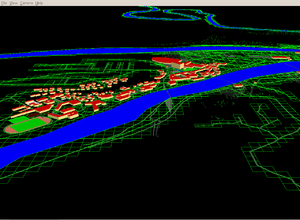 Debug view of map data in OSM2World's viewer, highlighting intersections identified by OSM2World. 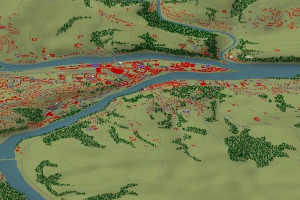 All images on this page are licensed CC-by-SA 2.0 and are based on OpenStreetMap data.